Experience Years of translation experience: 17. Registered at ProZ.com: Jun 2007. Became a member: Jun 2007. B. 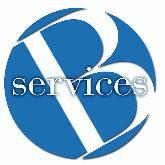 Services is a translation agency based in Genoa (Italy) and established in 2005. We manage translation projects, both in-house and in outsourcing, always providing on-time and reliable translations.